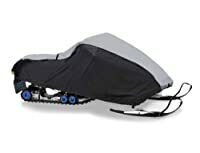 71527 Size: Medium Features: -Tough, Black, UV resistant ProtekX Plus fabric with PU backing for extra weather and abrasion protection.-Three sizes fit most snowmobiles.-Elastic hem cord for a fast and tight fit.-Dual air vents reduce moisture and wind lofting.-Non - scratch hood liner.-''Never - lose - it'' attached storage bag. 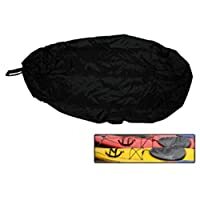 Includes: -Attachment straps included.-Attachment straps included. 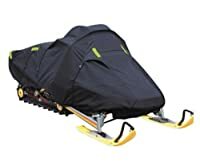 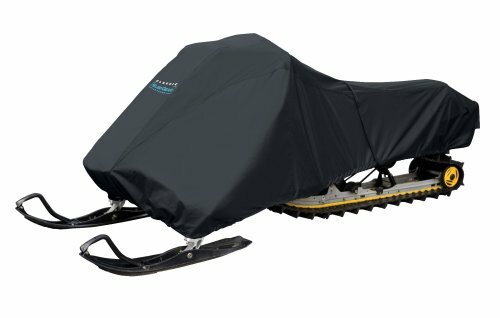 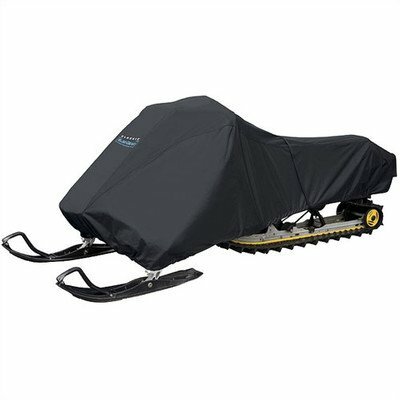 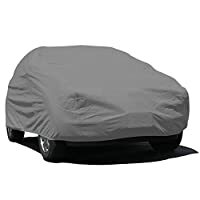 Dimensions: -Medium fits: one person Snowmobiles 100'' - 115'' long.-Large fits: two - person Snowmobiles 116'' - 130'' long.-X Large fits: Touring and Work Snowmobiles 131'' - 145'' long. 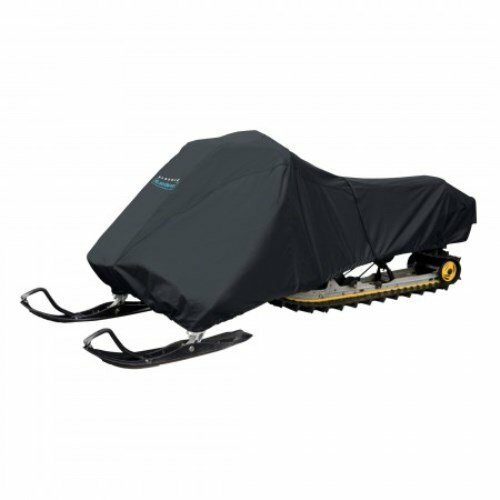 Warranty: -Two year warranty.